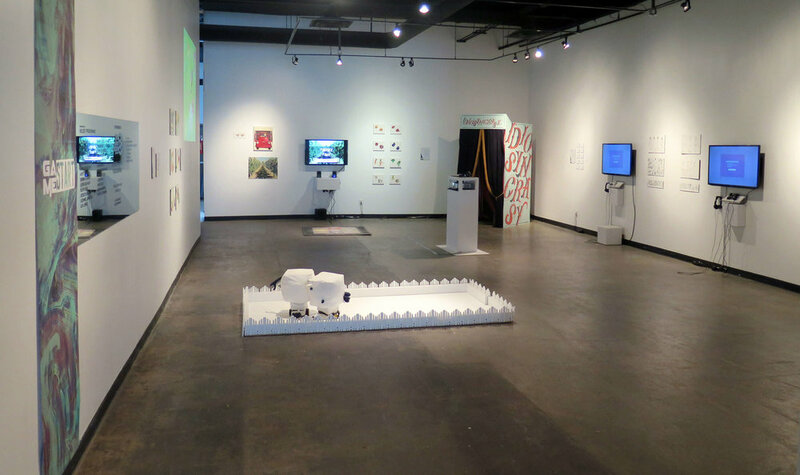 Game Start was an interactive group exhibit held at Edmonton's Lattitude 53 and curated by my friend Kelsey Prud'homme. Kelsey brought together various creatives to make a unique exhibition of 6 experimental games. 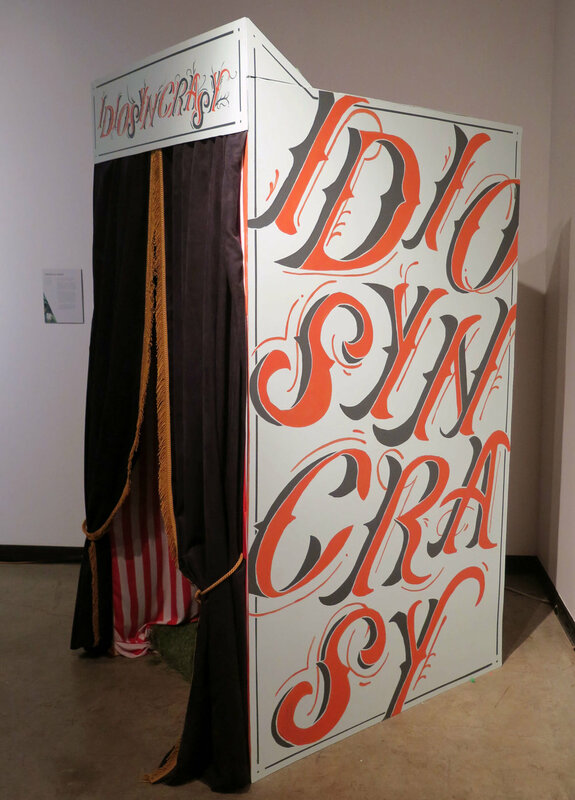 I worked with artist Maud Madsen, developer Simon Fessehaye, and designer Josh Smith to create our game: Idiosyncrasy. I also helped with the design of the exhibition's identity and show collateral. 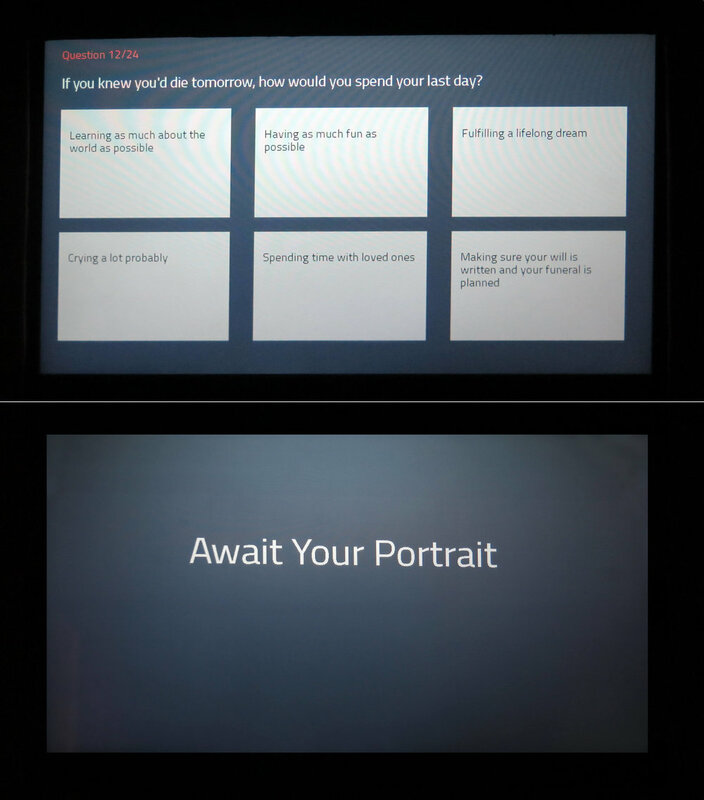 Idiosyncrasy played with the enigma of self-identity and personality by having the user enter a strange circus-inspired booth, answer a series of randomized questions (inspired by horoscopes, Buzzfeed quizzes, professional aptitude tests, dating questionnaires, etc), and then wait for a portrait to print out that was generated based on our programmed judgment of their answers. The collaged artwork idea was based on the Surrealist artist's game of Exquisite-Corpse, and the artwork itself was meant to create unique, mutilated figures. With literally thousands of possible permutations, each play of the game would ask the player different questions and result in a different art piece. The mashup of self-reflective personality quizzes with our contemporary take on Exquisite-Corpse made for a truly unique and fun game. It was a great exhibition to be a part of. You can play a version of the game here (desktop only).